SKOKIE, Ill. (WLS) -- Niles North High School in north suburban Skokie was evacuated Wednesday afternoon after receiving a threat, police said. Police said they are working to determine the credibility of the threat. No injuries were reported. Police did not comment on the nature of the threat or how it was made. 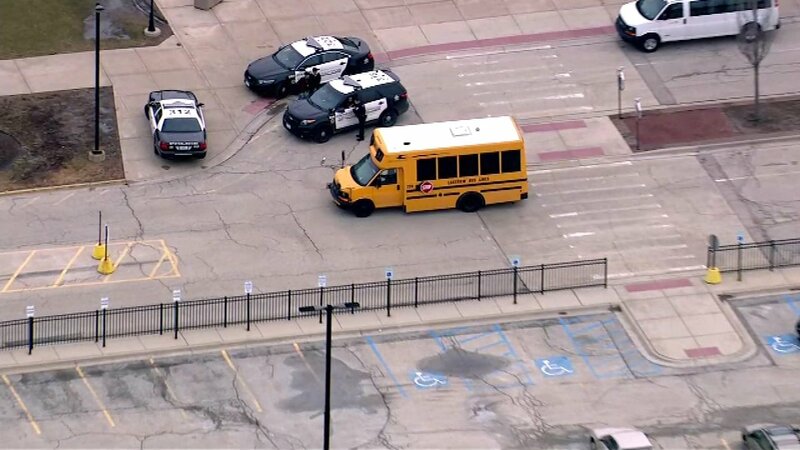 Sources told ABC7 the school received a bomb threat shortly after 2:30 p.m. Students and teachers were asked to hold in place for about half an hour until the evacuation order was given and buses were waiting to take them to Niles West, according to those sources. Skokie police said the evacuation was a precautionary measure. A team from the Cook County Sheriff's Bomb Squad is assisting in the investigation.